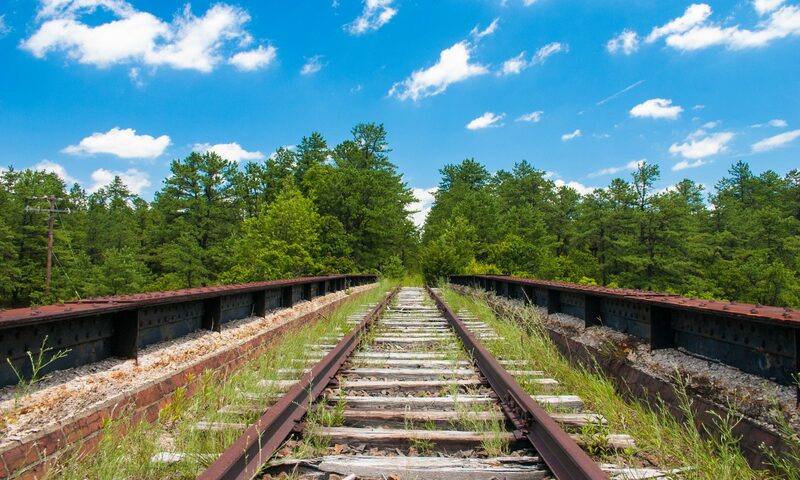 Have you ever heard of the Penn Branch Mountain Biking trail in Wharton State Forest? You wouldn’t be alone if you haven’t. 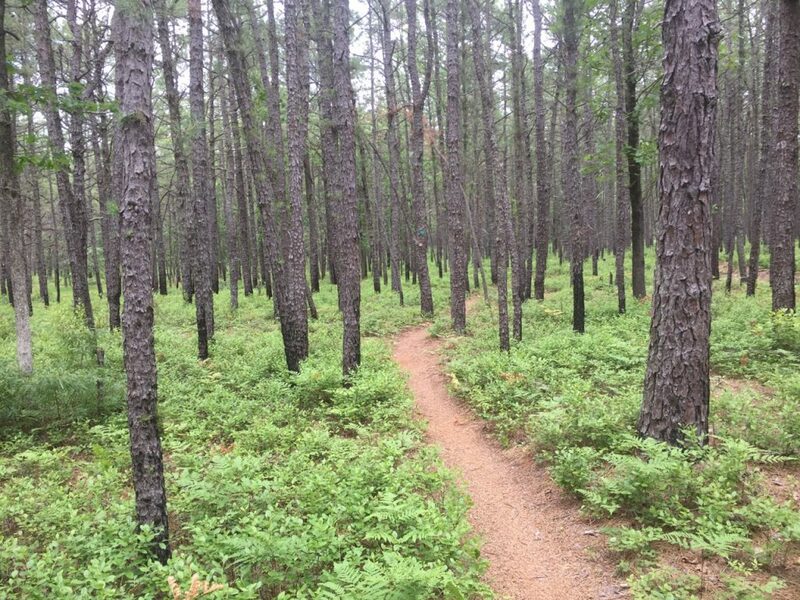 It is a lesser known eighteen-mile trail dedicated for mountain biking that runs through the heart of Wharton State Forest and the Pine Barrens. I discovered it accidentally, stumbling across its clearly marked orange blazes, about a year ago when hiking in the area. After coming across it, I went back and did some research and found it was the longest, but not the only, trail dedicated to mountain bike riding in Wharton. 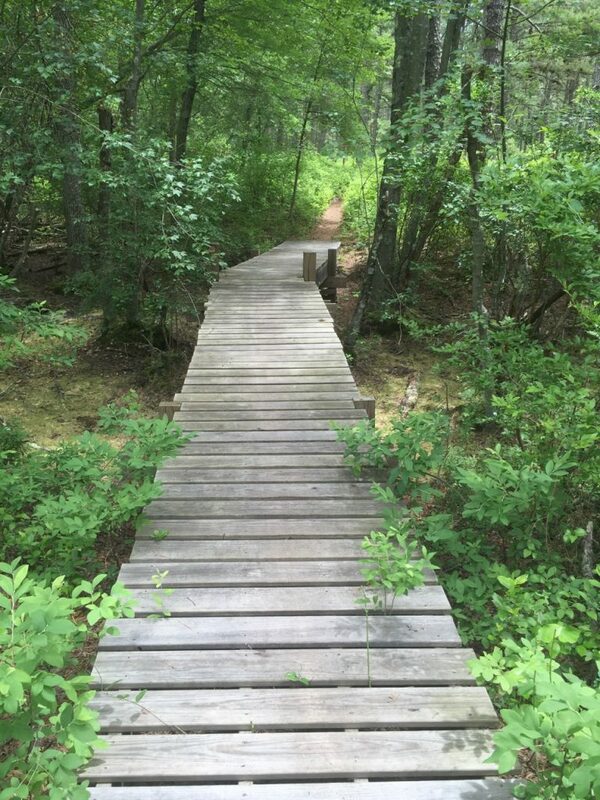 It is part of a network of trails that originate from Batsto. Referring to the map below, you can see the network of mountain bike trails with the longest being the orange colored Penn Branch Trail. The most common starting point for the trail is from Batsto village, however, there are multiple access points via other dirt roads in Wharton. In addition to starting at Batsto, you can also start where it crosses Penn Swamp Rd, Washington-Quaker Bridge Rd, or Hay Rd. (Figure 2). The trail is maintained by the Jersey Off-Road Bicycle Association (JORBA). This summer I decided to ride the trail with a friend. Since we came from the north, we started at the northern apex of the loop at Hay Rd. We rode down the western side to Batsto, had lunch there, and then continued on the eastern side. It was about 3 hours of total moving time. The trail is mostly uplands forest. The terrain was varied with some areas being dense brush, with other areas being fairly wide open where rolling hills could be made out. The terrain is varied enough to maintain interest throughout. Aside from the three main roads above, the trail was crossed by many other, smaller, unmarked roads. 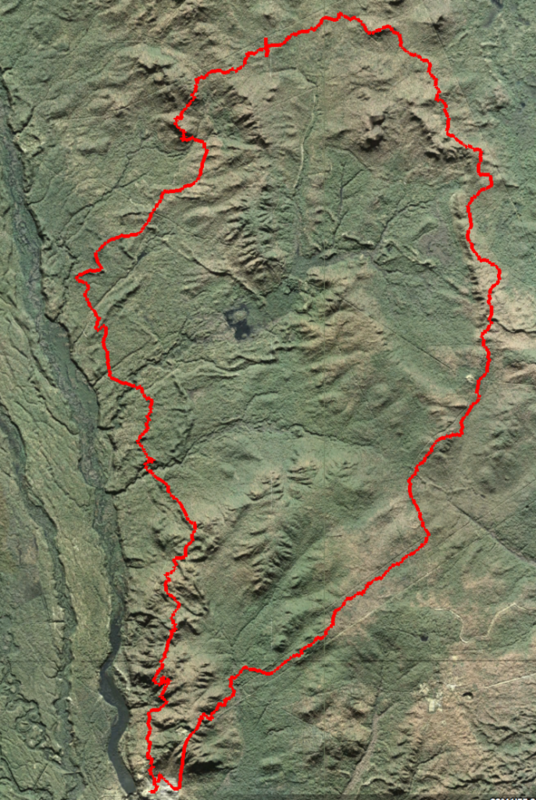 If you overlay the trail on Boyd’s LIDAR maps, you can see that the trail tends to follow the ridges of the highlands in the area, which makes for regular, albeit small, changes in elevation. The trail is very dry, but has 3 small bridges over streams. It is not straight by any stretch of the imagination and is full of continuous switchbacks which add to the adventure. 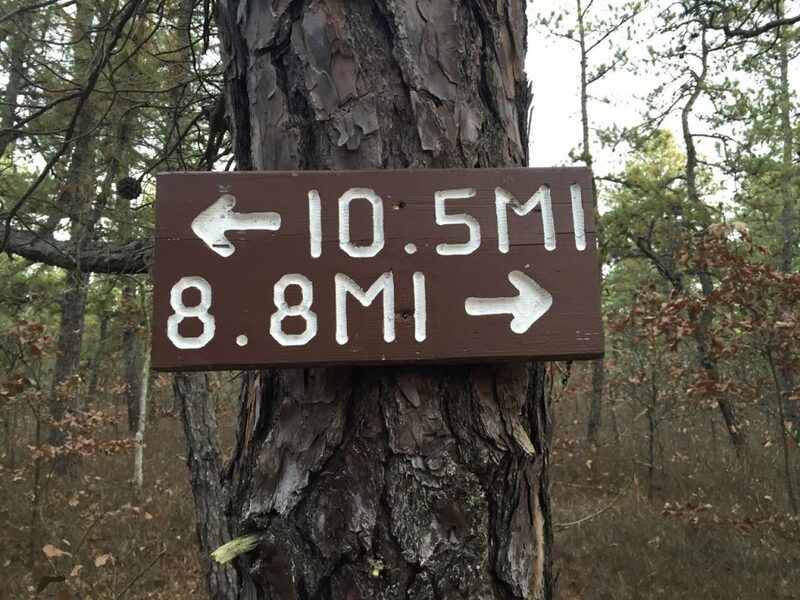 Of the entire eighteen miles of the very narrow path, probably not even 10 feet ran straight. It was a continuous effort of turning left and right, up and down the little hills. 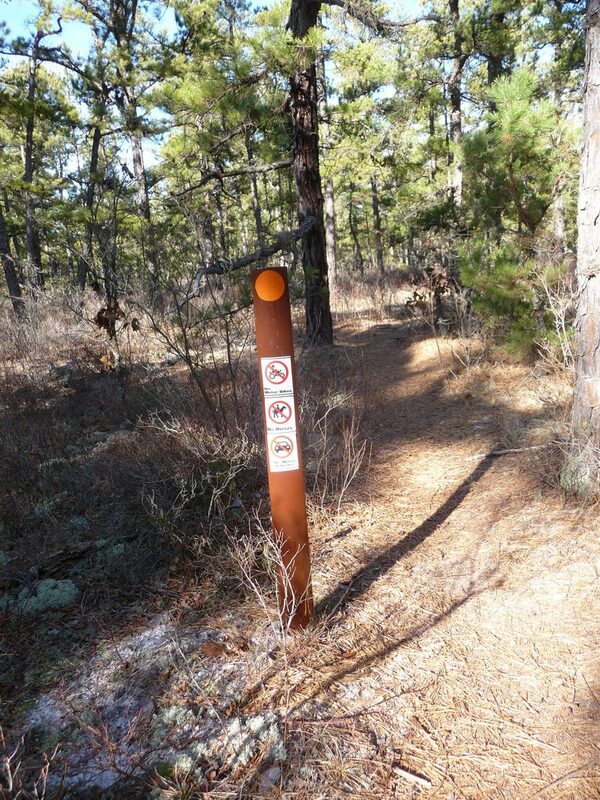 The trail is very well marked, with frequent orange blazes and whips to mark the way. Additionally, there are mile markers every mile showing the distance back to Batsto in each direction. I was interested in the history of this trail and the challenges that must have been overcome in order to make it so I reached out JORBA to see if they could give me any information. I got in touch with Kurt Widmaier of JORBA who was one of the creators of the trail and was able to provide me with this history of the trail. Be aware that riding 18 miles on this trail is NOT the same as riding on 18 miles of pavement or cinders. Due to gentle hills and continuous turns it is fairly strenuous. If you can barely ride 18 miles on pavement than consider just riding a portion of it, out and back. Or, consider the other, shorter, trails out of Batsto. Long pants are highly recommended not only to protect from ticks and chiggers, but also to protect your legs from the brush since the trail is so narrow. There is no cellular coverage on most of the trail. It is advised that you let someone know where you are going and bring along some basic tools and a spare inner tube in case you have any issues. Overall, it was a great ride and one I would recommend if you are up for a challenge. A little over ten years ago the Wharton Forest superintendent at the time reached out to the bicycling community asking for advice and volunteers to map-mark-route a family orientated mountain bike specific trail at Wharton. JORBA responded and invited the IMBA Trail Care Crew to visit Wharton Forest to teach one of their trail care classes. The trail class was open to the public and was well attended. Half of the day was held in the Batsto Visitor Center lecture hall followed by the in-the-field half day lab when work was done on the trailhead. Wharton Forest Superintendent Flo and Wharton staffer Gil Mika already had a rough idea of the MTB trail route they wanted based on avoiding environmentally sensitive areas, appropriate soil type, plus easy management and maintenance of the trail. Both Superintendent Flo and Gil were excited to hear the IMBA Trail Care Crew’s lessons on routing a sustainable trail and asked for volunteers. Two JORBA members, John Williams Sr. and Kurt Widmaier volunteered to assist Gil in organizing trail work days, mapping and marking the route, etc.. 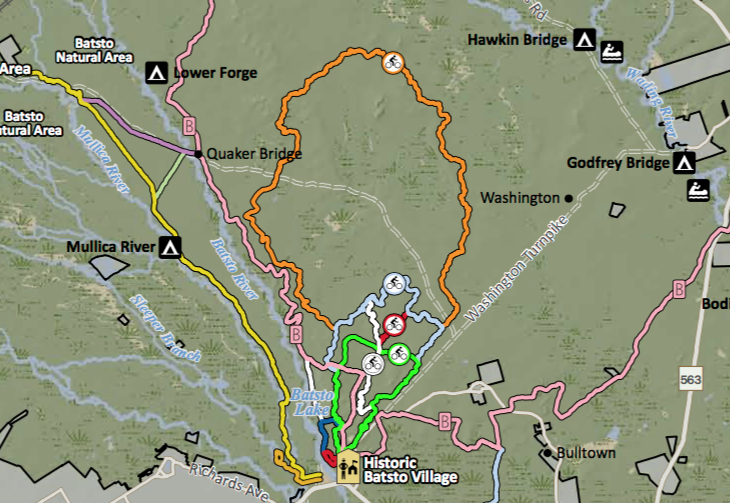 The Batsto area MTB trail design emphasizes the sustainability and minimal impact. Some of the lessons learned in the Trail Care Crew class: avoiding fall-lines; minimizing gradients; using gateways; and incorporating as many turns on contours when possible. These items also served Superintendent Flo’s original wish for fun family orientated mountain bike trails. Many design inspirations came from favorite well designed sustainable trails in other parks and forests. 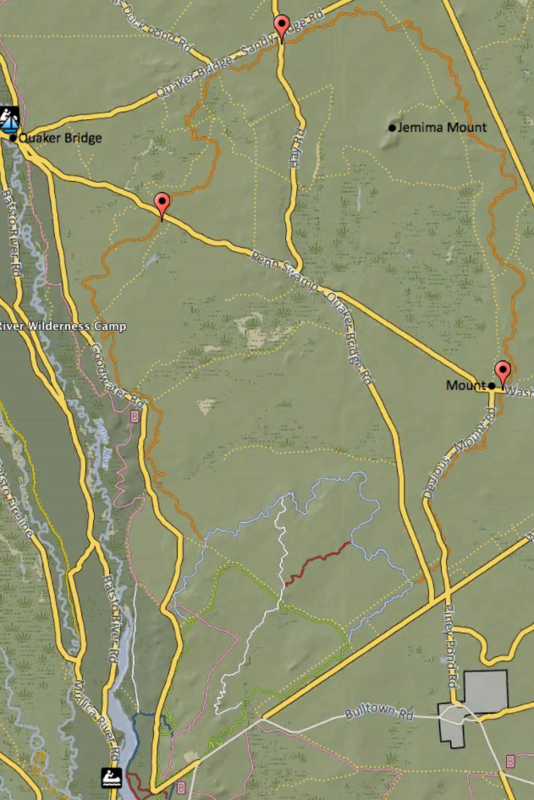 The mapping-marking-routing of the Batsto area MTB Trails was completed in three years. Which looking back at it… is kind of crazy. The Penn Branch Trail mileage markers were designed, manufactured, and hung in the appropriate places by a Boy Scout troop from Berlin, NJ.